Calvin is a Sales Director leading a team of sales professionals. He’s an advocate of training and enrolled his team in our 4-day sales training programme. Calvin wanted his team to be more proactive in prospecting and looking for opportunities. During the sales training programme, the team shared their common sales challenges, best practices and success stories for the first time (some had been there 10 years) and learned as much from each other as they did from me. They told me how their attempts at being proactive were at times met with micro-management by their Sales Director. How could the sales training programme be successful if Calvin’s team returns to an environment that doesn’t support what they’ve learned? Their day-to-day environment must support their learning so that their new behaviours become habits. These new behaviours must become habits in order for sales to improve. Despite that, what do many leaders do when sales don’t improve after training? Send the team for more training! So what could Calvin (and you as a sales leader) do to ensure the team consistently adopts desired selling behaviours? Have structured agendas and respect their time. Keep it short. Start on time and end early. Have unstructured meetings and waste their time. Keep it long. Start late and finish late. Keep it interesting and mix things up. They won’t want to miss this! Keep the same old boring routine. Why should they attend this? Recognise accomplishments and celebrate their wins. Recognise failures and highlight their defeats. Encourage discussion and sharing of best practices. Encourage withholding of information and creation of silos. Have actionable takeaways. They know what to do next! No actionable takeaways. What should they do next? Your team is looking to you for guidance, direction and leadership. Share your “big picture” strategies, priorities, targets, and KPIs with the team. As a sales leader, you should only focus on the “what” (vision and objectives). Leave the “how” (tactics and implementation) to your sales team. Focus on what actions they’ll take by the next meeting. How will they keep sales opportunities moving forward? Each team member should share at least 1 takeaway and action they will take now. Listen more and talk less. Sales meetings should not become sales training programmes, product knowledge training sessions or reviews of what’s happened since the last meeting. Put away the PowerPoint! Instead, ask questions and stimulate discussions of real-life selling situations. Ask team members to share specific sales challenges (closing, gatekeepers, objections, etc.) Encourage the group to share tips that have worked for them and could be useful to the group. Ask them to share the latest sales book they read, audio they heard or video they watched, and what was their biggest takeaway. When I work with Sales Directors like Calvin, I encourage them to have regular sales meetings so the team can plan their schedules around those dates. What if they’re traveling? No excuse! They can join the meeting via conference call to contribute and learn. Make these meetings a habit. Lead by example. Have an agenda for each meeting and ask the team for their input. What would they like to focus on? Your team will be more engaged if they’ve contributed. Be sure to circulate the agenda at least 24 hours prior so the team comes prepared. Remember to respect their schedules by starting on-time and ending on-time (maybe even early!). Your ability to run great sales meetings, will improve the return on your sales training investment and ultimately determine the success of your sales team. If you’re looking to build a high performance sales team, schedule a sales meeting with your team now! Note: This article was published in The Straits Times (23 Aug 2013). Sales meetings can be essential to the success of a sales team or they can be a HUGE waste of time. Let’s make sure our sales meetings are never the latter. In this slide deck I share 5 tips to run great sales meetings. 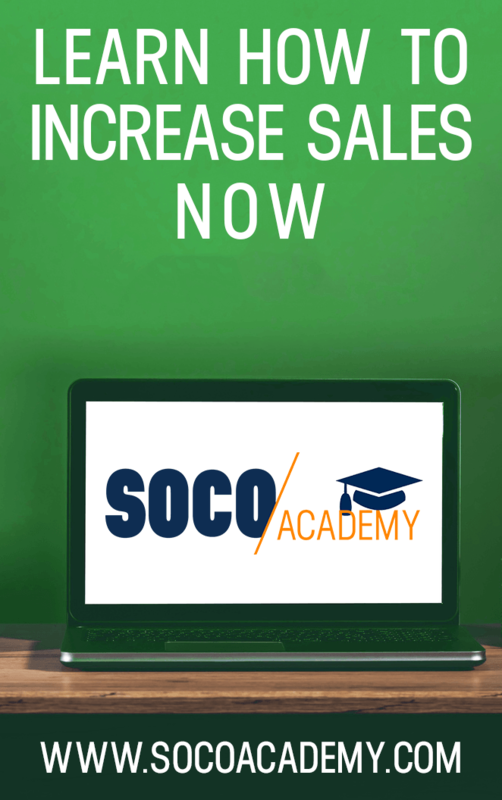 Soho Sales Coaching conducts a 1-day sales workshop “Management Mastery“, where you’ll learn how to lead your team to exceeding sales targets. Learn more.